The challenge of the century for renewable energy sources is quite simply storage, also known as batteries. Solar and wind can generate power at a reasonable cost, but that energy can’t be stored. Unfortunately, the sun doesn’t shine all the time, nor does the wind blow perpetually. Without cheap reliable batteries or systems to store that energy, renewables require on-demand backups, and those are almost always carbon-based. Berlin, Germany released plans to install a 120 megawatt underground battery storage unit which will store power from wind and solar farms. Energy is about economics. People use the energy type they can afford. By 2020, the reason coal will no longer be in demand is because it costs more to produce than the market will pay. It is also the reason why the promise of cheap renewable energy has made solar energy and wind turbines very attractive propositions. The upfront cost for these technologies is relatively high, but the long run costs may be much lower than fossil fuels. And those low operating costs can be amortized over the life of the power generator, be it a wind turbine, solar panel, or hydroelectric dam. 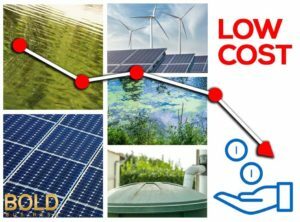 With practically zero operating expenses, save for maintenance costs, solar energy and wind farms are cheaper than oil based electric production. For solar and wind energy, there is a need for more batteries at a lower cost. With low-cost batteries, a solar energy farm can store the excess production in batteries, and use these during night time. The same is true for wind farms, as well as some oil powered plants in high-demand areas. Batteries allow plants to store excess production and draw on the reserves during peak use times. The problem has been, industrial-sized batteries didn’t really exist in a cost-effective form. Researchers have made great strides in all aspects of renewable energies. The cost of producing a unit of power with solar has decreased exponentially over the past few years, making solar truly competitive for homes and small businesses with more traditional sources. New batteries which can store large quantities of energy through the night and sunless days, are set to make solar truly cost effective and viable. Many countries, including France and Germany, are experimenting with storing energy in a variety of ways. 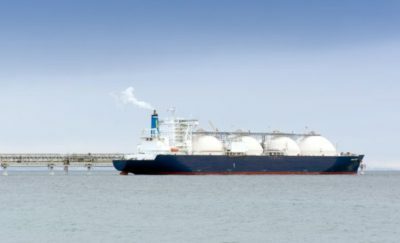 One innovative solution is to use pipes, such as those used for natural gas, compressing the gas during peak production and letting the pressure escape to generate energy at other times. Many areas are also using renewable energy to pump water uphill into reservoirs during peak production, in order to let it flow down and generate energy during low production or peak demand. Of course, batteries are regarded as the ideal choice of energy storage, because they can be standardized and placed in almost any environment. Battery development has had a fantastic run for the past 20 years, increasing in efficiency and longevity at the same time they became smaller and more powerful. If present trends continue, the world is on track to enjoy energy from renewables, including battery storage, roughly comparable in price to energy from oil, gas, and coal by the year 2020. In a few short years, renewables can be truly competitive. Unfortunately, the research into battery technology has slowed down. U.S. federal spending for research and development costs of items like battery technology decreased from 1.2% of US GDP in 1976, to 0.8% in 2015. In 2016, the Advanced Research Projects Agency-Energy (ARPA-E) under the Department of Energy funded 75 projects for battery systems. The department said that these had the potential to enable renewable energy battery storage within five to ten years. Unfortunately, the House passed a bill which effectively ends the ARPA-E project funding. At the same time President Trump also expressed the idea that ARPA-E should be eliminated altogether next year by not including it in his proposed 2018 budget. 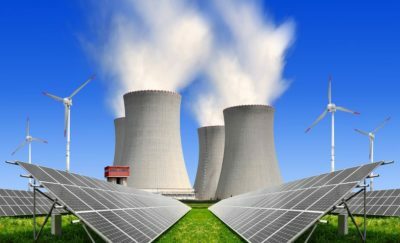 According to expert, Daniel Kammen, the director of the Renewable and Appropriate Energy Laboratory at the University of California, Berkeley, where he is also a professor, the limited funding will cause a short-term downturn. It will lead to limited competition between diverse technologies. The funding money will be spread out only to those which have the biggest potential in the immediate future. In the meantime, battery installation and power storage needs are growing. Recently, Berlin, Germany released plans to install a 120 megawatt underground battery storage unit which will store power from wind and solar farms. In addition, Tesla recently accepted the challenge to install a battery utility in Australia. Elon Musk, head of Tesla also added in the contract that it has to be installed within 100 days or it’s free. The 100 megawatt power utility will be three times bigger than any other utility in existence. With lower cost of production, and 24/7 access to energy due to battery storage, the future of renewable energy seems to be finally at hand. The question is, will the world continue to be chained to the past, or pursue the new and bold technologies of the future?